CANON imageRUNNER 9070 | Welcome to JJ Bender! The Canon imageRUNNER 9070 is an economical and reliable digital production printer. 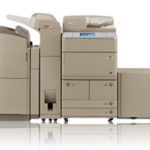 The Canon iR 9070 can produce up to 80 ppm of black-and-white copies, and is a compact digital duplicator that offers easy network integration and a web-based, remote interface. The Canon imageRUNNER 9070 is also known as the iR 9070 (iR9070). 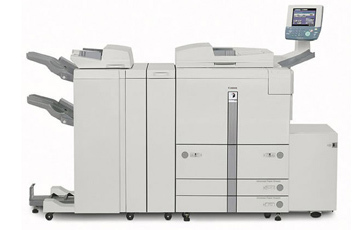 The Canon 9070 is an economical and reliable digital production printer. The Canon iR 9070 can produce up to 80 ppm of black-and-white copies. The iR 9070 is a compact digital duplicator that offers easy network integration and a web-based, remote interface. With a number of professional finishing options, the Canon imageRUNNER 9070 is a cost-effective alternative for black-and-white digital printing. Max Page Size: 11" x 17"
Are you in search of a custom-made, flexible, and cost-effective Canon ImageRUNNER 9070 lease? If the answer is yes, contact JJ Bender today. By studying the present demand for high-volume production equipment, we at JJ Bender can create the proper figures for a Canon IR 9070 lease. 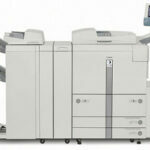 Once you have decided to opt for a Canon IR 9070 lease, JJ Bender will help you weigh all your options. We will also give you an idea of IR 9070 lease terms, lease payments and what can be expected on the first installation of the machine.